The Times Higher Education Rankings were released this week, with Scotland once again featuring as a top destination. Scotland has a world-renowned education system, top-class universities and a reputation for producing creative thinkers. These are just some of the many reasons that more than 50,000 students from over 180 different countries choose to study in Scotland every year. You may not know this, but Scotland has actually led the world in a commitment to excellence in education for many centuries. This excellence was once again cemented this week, as Times Higher Education – the world’s most influential university ranking system – released their most recent findings. Times Higher Education have been highlighting university excellence around the world for more than five decades, with their analysis and insight providing the benchmark for academic greatness. Each year, they compile information on thousands of academic institutions around the world to bring together their ultimate top 200. This year, the 2019 iteration, has ranked an impressive four Scottish universities as being amongst the top 200 in the entire world. To put that in perspective – that means that almost 25% of Scotland’s 19 universities are considered right up there with the world’s very best! “Every Scottish university is committed to excellence. We want to do the very best for our students, our economy and our nation. [...] League tables might be something we love to hate but the global competitiveness of our universities definitely matters. Like other Scottish sectors that compete on the world stage, quality really counts in higher education”. Proving that things just keep getting better with age, the four universities featured in this year’s top 200 are Scotland’s oldest institutions. Known as the ancient universities of Scotland, these schools date as far back as the medieval period, with the oldest – The University of St Andrews – founded way back in 1413. 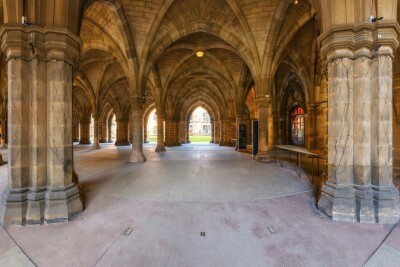 Over the years, these universities have helped nurture some of the world’s greatest minds, including Charles Darwin, David Hume, Adam Smith and Robert Louis Stevenson. As well as this, many of the unique traditions established hundreds of years ago are still alive and well and practised today, meaning that current students can relive ancient history. If you're interested in studying at one of Scotland’s universities, we have all the information that you need. The only real question is – what are you waiting for?